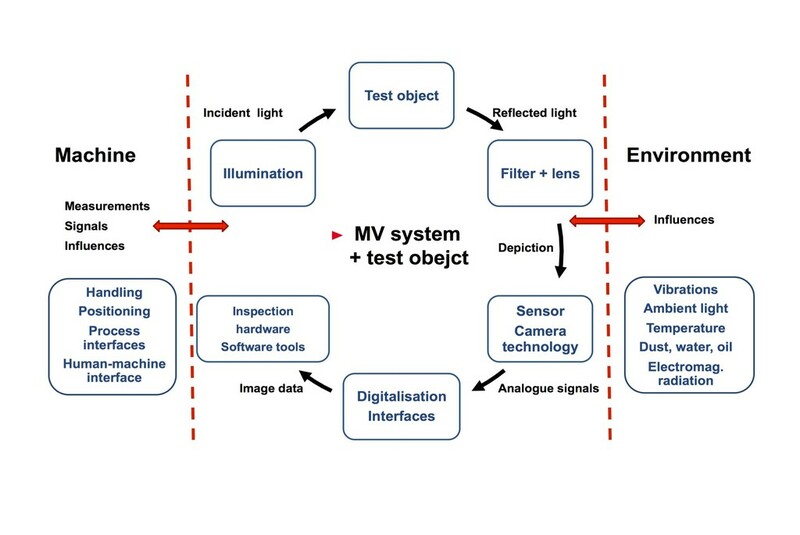 The challenges posed by external factors can have implications both in terms of potential damage to the machine vision components themselves, and the effects that they might have on the actual measurements. This is perfectly illustrated in considering a vision system that has to cope with temperature variations. Many modern cameras are built to work in temperatures as low as -5˚C or as high as 65˚C without damage. However, increased temperatures can lead to more noise in the image from the camera sensor, but this can be countered by ensuring that sufficient illumination is used to improve S/N. In addition, temperature affects the performance of LED illumination, the most commonly used illumination source in machine vision. As LEDs heat up their brightness drops. This can be compensated for by using a lighting controller that can adjust light output in line with a temperature compensation profile for the LED. LEDs themselves generate heat as well as light and this can cause accelerated ageing or even total failure, so requires efficient heat management in the system design. Other components can be chosen on their temperature resistance. 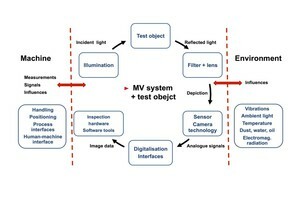 Machine vision measurements are handled according to the system configuration. Smart cameras have image acquisition, processing and analysis capabilities embedded within them. 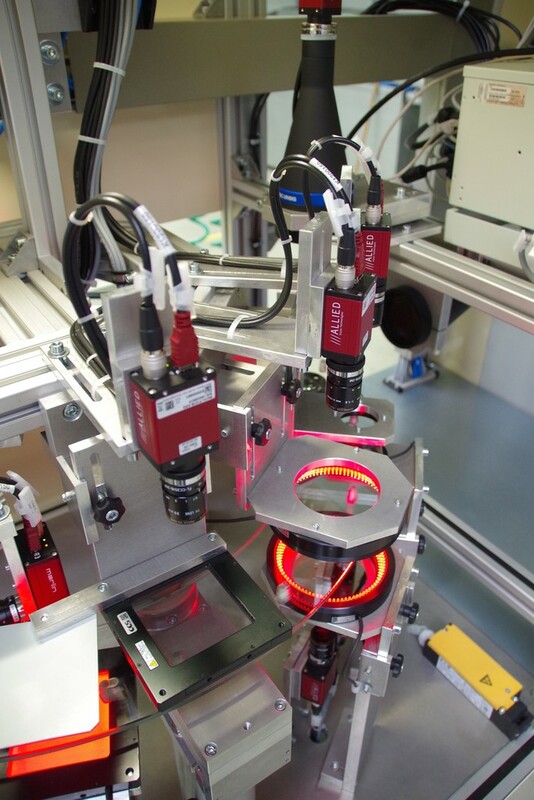 Compact embedded vision systems designed for demanding machine vision and automation applications requiring multiple cameras provide image acquisition, processing and analysis capabilities within the processing unit. PC-based systems will have the software on the PC. The accuracy and repeatability of results depends on the particular software algorithms used and their sub-pixel accuracy. High quality software products and libraries often provide more robust software tools than cheaper or open source systems, but often differences can only be evaluated by direct comparison and with varying inspection environments. Today's vision systems can even tolerate a limited degree of variation in product size and shape, and can recognise classes of natural product with their inevitable variations within them. Even with the most robust vision system, however, external influences can lead to poor measurement results. For example, vibrations can lead to blurry images, while variable part feeding could lead to variable image perspectives. Motion blur can arise when using too long an exposure time to image moving objects. One pitfall for the untrained machine vision user is the significant difference between the human eye and even the most advanced camera. Eyes automatically adjust to deal with apparent significant dynamic range while a fixed camera is unable to see significantly bright and dark areas at the same time. Sunlight through a roof light or a shadow of a tall machine operator can change a camera’s images image where the human eye would compensate without you even knowing. -Determining any additional information, such as the human-machine interface, operating concept, visualisation. Following the VDI/VDE/VDMA 2632 process not only allows the determination of an optimised solution but ensures that if proposals are sought from several suppliers, they all follow the same terms and definitions and use a consistent terminology. This allows exact ‘like for like’ comparisons to be made. To raise awareness of how the VDI/VDE 2632-2 standard can help to smooth the successful integration of machine vision into production equipment, Stemmer Imaging holds a number of training courses, in association with the European Imaging Academy. 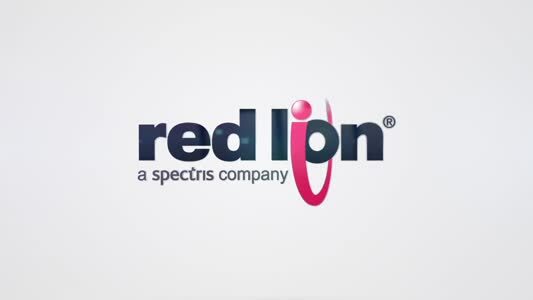 These are ideal for end users looking to embark on a machine vision project, as attendees will learn what questions to ask suppliers, how to evaluate proposals and understand the completeness of any proposal. In this way, users can be confident that they will get a truly robust vision system.